The Goverment’s budget for 2018 has finally been approved. Below is a summary of changes I thought might interest you. Starting with a positive one, going to the cinema is going to be cheaper, as the IVA/ VAT on tickets will decrease from 21 to 10. Effective immediatly. Another improvement Paternity leave from 4-5 weeks and for ‘fucionarios’ the option to take leave once the mothers leave has ended. Effective immediatly. Pensions will increase with 1.6% for a medium pension to 3% for a minimum pension, 1,35% for Autonomos not in receipt of minimum pension. The increased pension payments will be released as of August , but the measure will be implemented retro-actively as of January 1st this year, so during July all pensioners will receive an extra payment with the increase over the months January-July. 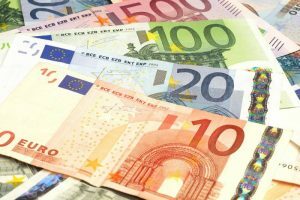 IRPF Income Tax Changes– The threshold of 12,000 euros will go up to 14,000 euros. Higher allowances for those with income from work between 14,000-18,000. Extra allowances for those with a disabled spouse or for large families. Effective this tax year, so as of RENTA 2019. Autonomo contributions increase with 3.87 euros /month for those that have chosen topay based on the minimum ‘base de cotizacion,’ the large majority of self-employed in Spain. Renewing your Spanish DNI or Passport is more expensive now. 12 euros for DNI and 30 for a Spanish passport. For foreigners living in Spain, the ‘tasas’ to pay for official documents like NIE certificate (EX 15) or Residency Certificate (EX 18) have gone up as well. Prices now 9,64 euros for NIE and 10,82 for the green residency certificate.